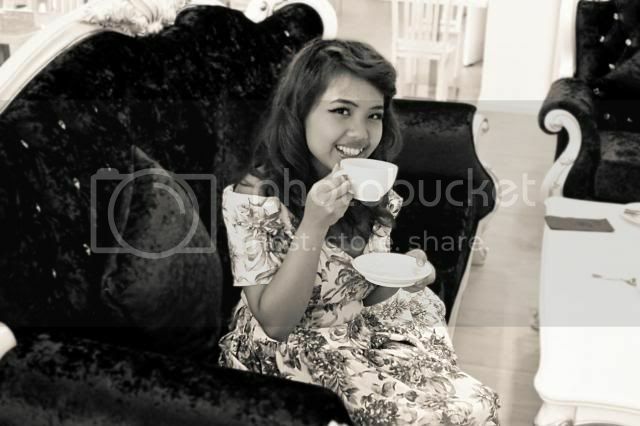 Had such a fun time doing photoshoot at Bliss House Theme Restaurant with the vintage theme. Me and my friend, Shella had lunch in majestic setting while playing dress up a la Dior New Look. Bliss House is a new thematic restaurant with great outdoor setting in mainly two different themes, the garden and the grand victorian themed house. 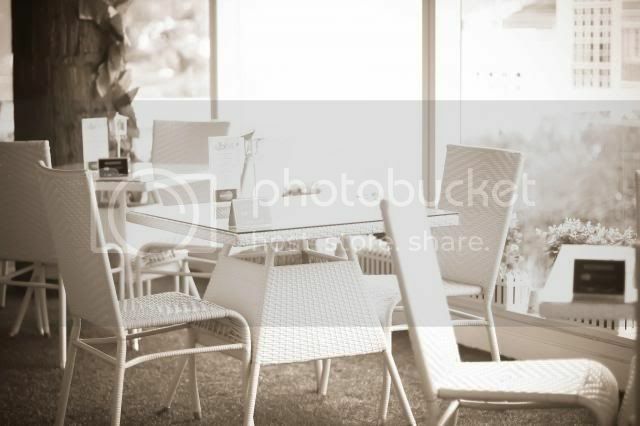 Their furniture and interior are carefully selected to create the ambience. 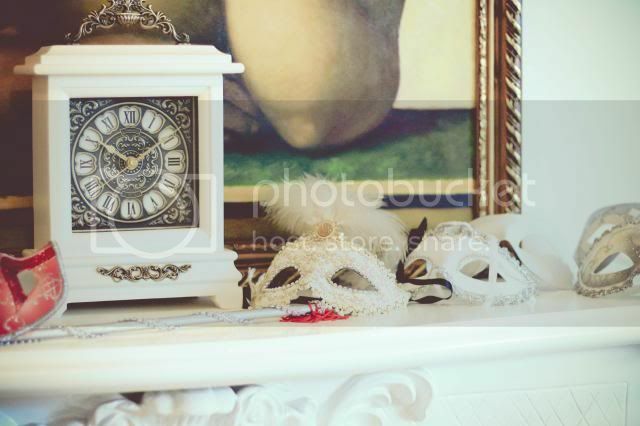 Therefore it would be awesome for a thematic party such as 21st birthday or wedding hall. Not only having grand setting, their food is lovely too. 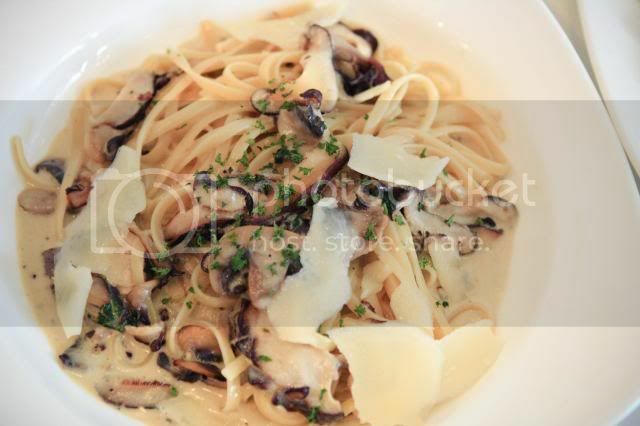 We tried the clam linguine and mushroom alfredo. 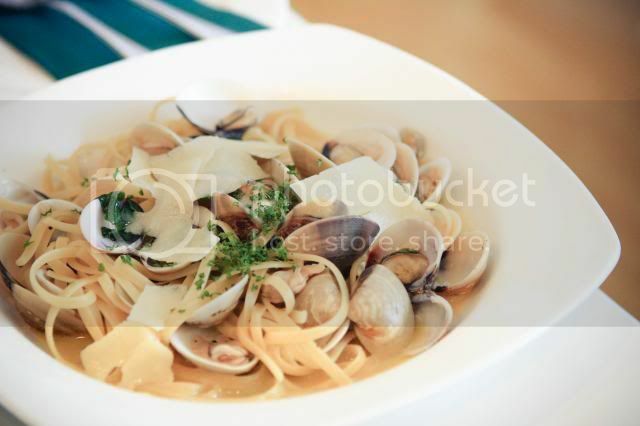 Personally i am not a huge fan of creamy pasta, and they serve amazing linguine, the al dente pasta is served with tasty broth and generous amounts of clam! Those cheese bites sprinkled over the second plate, completes the taste of Shella's pasta. 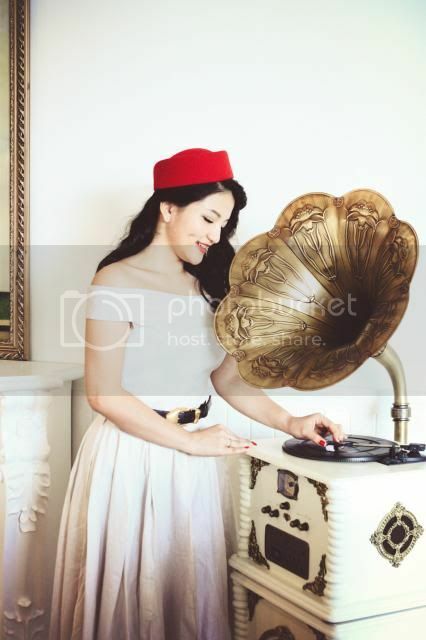 How cool is this old gramophone! 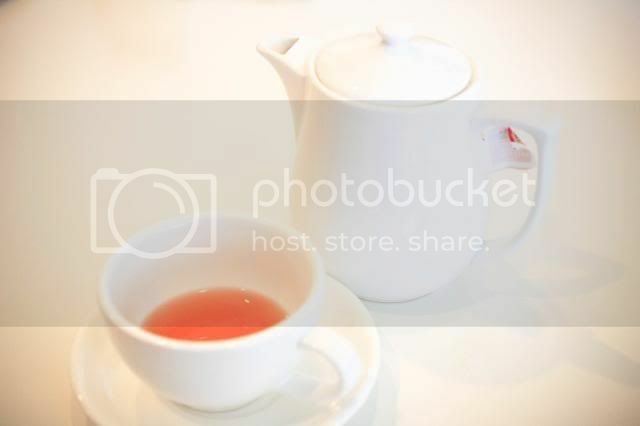 Enjoying our english breakfast tea. 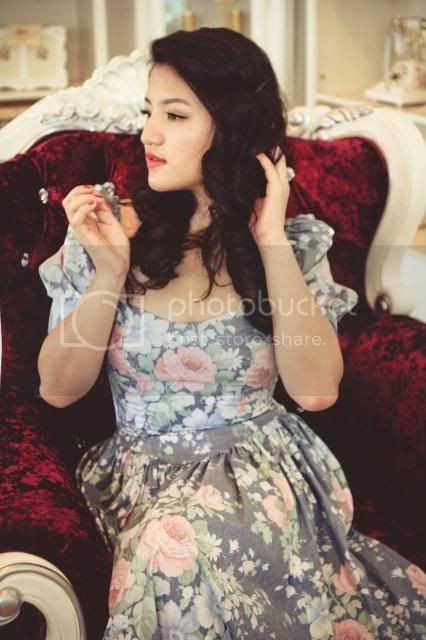 Vintage is not mu usual cup of tea, but exploring different fashion style is fun! We even learn how to do the 50's make up look and hair style with all the curl and wavy front. Do i look like i pop out from 50's time machine? All of our dresses via Ebay. 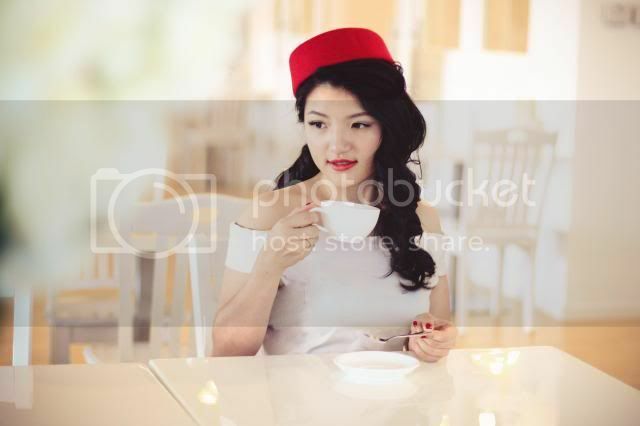 red hat from bangkok. Aldo shoes. 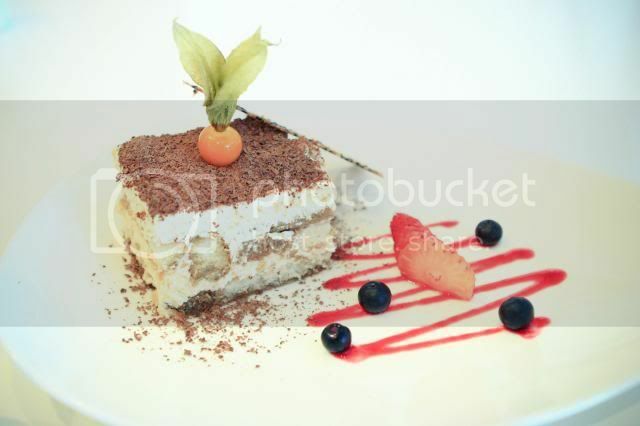 and who can't resist this beautifully crafted tiramisu! i can say that i list this as one of the best cake in town! the soft texture and the balanced sweetness will linger in your mouth. aaa! love all the dresses. They're gorgeous! Aaaah, such a cute photos :)! The theme is really cool :). that place is too gorgeous! 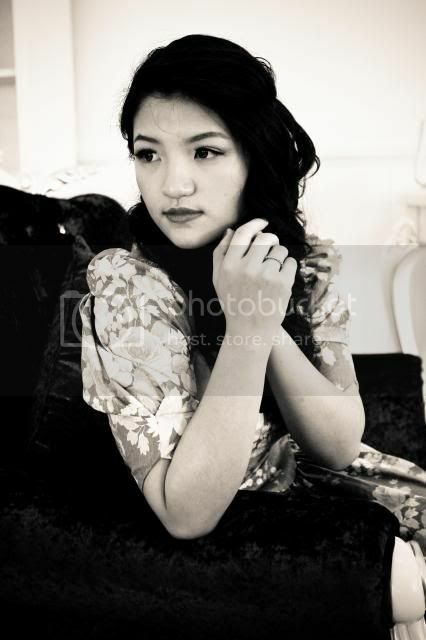 i always love vintage theme <3 and you look so enchantingly 50s with the dress and make up! What a pretty little photoshoot and the food looks delish! 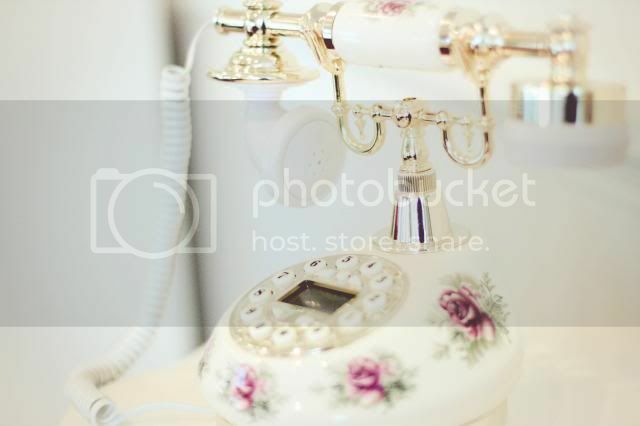 I love the dresses and the little oldies props - the phone, cups - so pretty! Oh wow this is stunning. The 50s are my absolute favourite, this is perfection, it is a beautiful theme. I love the furniture too and the phone, I've been wanting to get a phone like that for ages. Those pics are absolutely fab!!! love them so much! Whoa super cute! Loving the dress, and the hat, and the place. They fit one to another. I should go there once I'm going to spore again. It's a good recommendation I guess hehe. You're so pretty :) Those dresses are really beautiful! 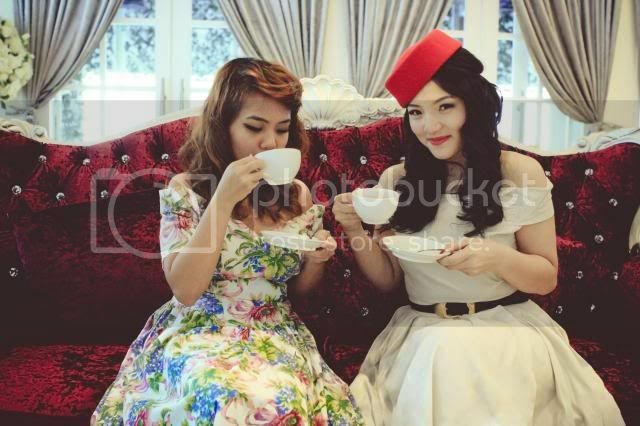 you both beautiful, and nice back to 50s photoshoot, I love the old style. Oh my gosh those dresses are gorgeous! love the concept! you look great! wow you guys look amazing. nice shots. 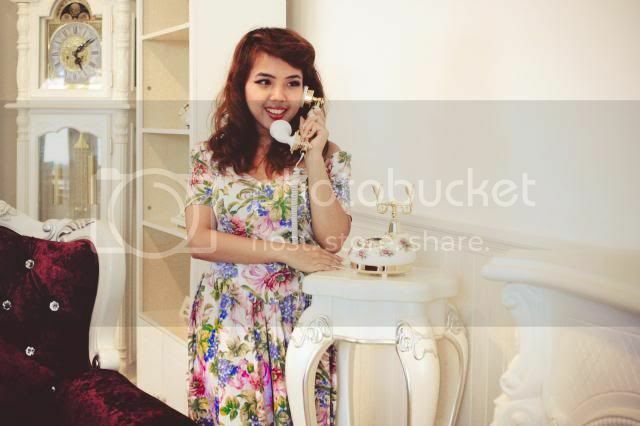 vintage theme nya brilliant bgt! The theme shot looks so fun! The dresses you girls wore are gorgeous. Anyway thank you for following me dear, I'm also following you back now!